Seafoods, specialty foods and gourmet foods are sold in the Destin seafood markets and gourmet shops. Kitchen shops offer cookbooks, kitchen essentials like dishes, cookware, unique kitchen gadgets and table linens. Cooking classes are offered by some of the area food and beverage stores. Liquor stores and wine shops offer hundreds of beverages to quench your thirst. 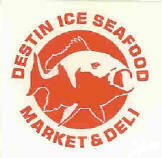 Destin Ice offers the freshest local fish, shrimp, crab and oysters. We also have an extensive line of Buckhead beef. We have fresh seafood salads and dips prepared in our deli daily. We also have many specialty retail items. We look forward to seeing you. Award winning Destin Commons is the premier open-air lifestyle center for the entire family. Enjoy a variety of eateries from fast casual to table side dining including favorites like El Jalisco Mexican Restaurant, Chipotle, Divieto Ristorante, Smashburger, Which Wich, Zoe’s Kitchen, Whole Foods and more! Destin Commons truly offers the best in shopping, dining and entertainment. 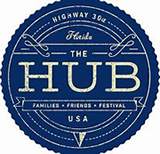 At the HUB, food is at the center of families and festival! With multiple food & beverage options to choose from, there's something to please everyone in your group. The HUB features a full calendar of entertainment and special events, an eclectic array of shopping and onsite catering options.